One of the first drinking fountains in the world was constructed in the UK (in 1859) as a solution to the pressing problems of the times. In particular, the poor quality of water which encouraged rampant out breaks of cholera. As a result of this contaminated hydration, many turned to drinking only beer – which as we know now is a bad idea in terms of sobriety and nutrition. So as you can imagine, the erection of reliable and safe drinking fountains were a welcome phenomenon. However, today they seem to have lost vogue in the wake of the bottled beverage revolution. With widespread concerns running rampant over the quality of tap water, and by extension the benefits of drinking fountains. But the truth is, there are at least 7 good reasons why every public space, from offices to parks, should have drinking fountains. These types of dispensers ensure that valuable H2O doesn’t go to waste, the way that a tap left running could. You only get what you really need. The second the push button is released it stops dispensing. In a world that has become increasingly reliant on a grab-and-go mentality, the rise of bottled water has become an environmental issue. With tons and tons of plastic being discarded every year. 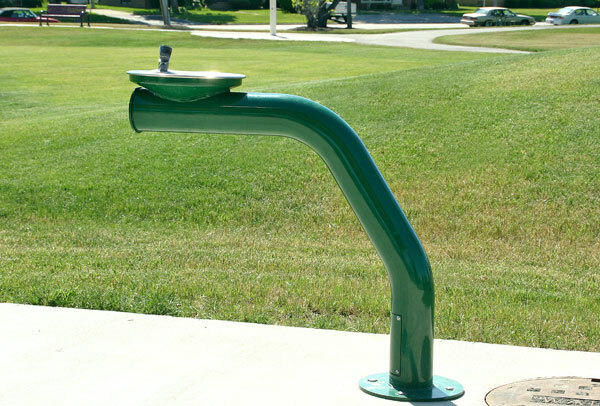 A drinking fountain is a convenient way to avoid having to take care of empties. Despite modern-day concerns over sanitary issues, drinking fountains don’t expose you to harmful elements if you don’t put your mouth on the spigot. With this in mind some bacteria is actually good for you and exposure to these elements can keep you more resilient against infections down the line. Having a quick and easy water dispenser is a healthy alternative to the sugar, calories, caffeine and colorants that are present in soda, tea and coffee. A drinking fountain doesn’t discriminate, it’s completely all inclusive. Whether you have a cup, bottle or just your mouth – you’re able to access hydration at the push of a button. These kinds of dispensers can be incredibly attractive elements to add into your office space or home. By installing drinking fountains you can reinforce commitment to providing clean, safe and free water for everyone in your home or organisation. Drinking fountains have long been a welcome phenomenon in the UK. However, many are falling into disrepair and neglect. Why not join the movement for safe, free, hydration available to all!